Around the world, intensifying development and human demands for fresh water are placing unsustainable pressures on finite resources. Countries are waging war over transboundary rivers, and rural and urban communities are increasingly divided as irrigation demands compete with domestic desires. Marginal groups are losing access to water as powerful elites protect their own interests, and entire ecosystems are being severely degraded. These problems are particularly evident in Australia, with its industrialised economy and arid climate. Yet there have been relatively few attempts to examine the social and cultural complexities that underlie peoples engagements with water. Based on long-term ethnographic fieldwork in two major Australian river catchments (the Mitchell River in Cape York, and the Brisbane River in southeast Queensland), this book examines their major water using and managing groups: indigenous communities, farmers, industries, recreational and domestic water users, and environmental organisations. It explores the issues that shape their different beliefs, values and practices in relation to water, and considers the specifically cultural or sub-cultural meanings that they encode in their material surroundings. 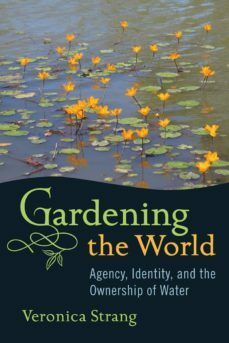 Through an analysis of each groups diverse efforts to garden the world, it provides insights into the complexities of human-environmental relationships.